Ginevra de' Benci (Born 1457) was a lady of the aristocratic class in 15th century Florence, admired for her intelligence by Florentine contemporaries. 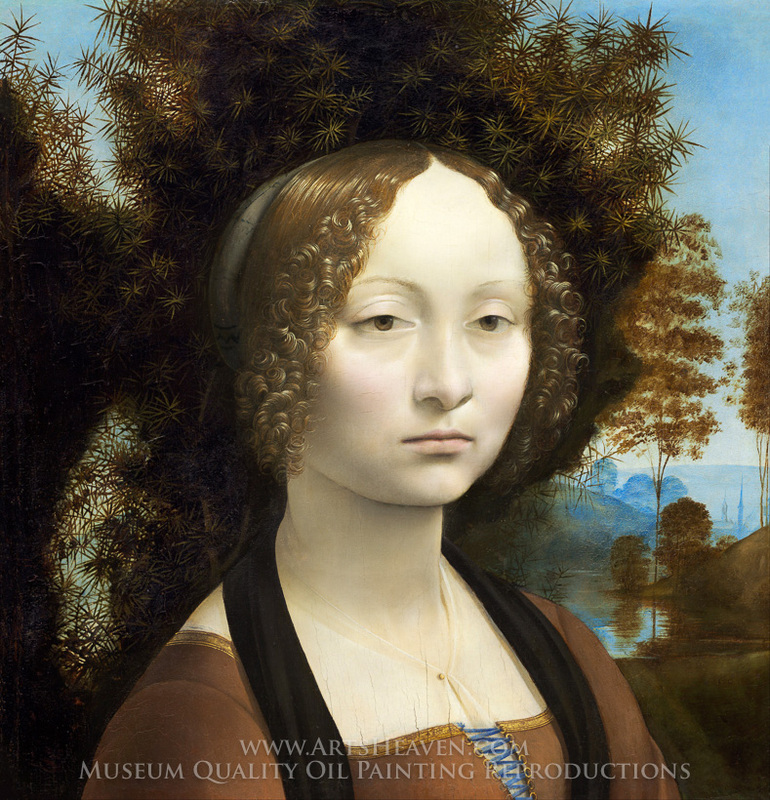 She is the subject of one of only 17 extant paintings attributed to Leonardo da Vinci. The oil-on-wood portrait was permanently acquired by the National Gallery of Art in Washington, D.C. in 1967 for 5 million dollars paid to the Princely House of Liechtenstein, a record price at the time. Controversy has surrounded the portrait for decades; there is no definitive proof that Leonardo painted the work and some art critics feel that the painting is below his lofty standards. 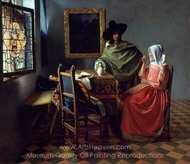 Nevertheless, the National Gallery of Art claims on its website that "it is now accepted by virtually all Leonardo scholars" as genuine. Ginevra de' Benci is one of the highlights of the National Gallery of Art, and is admired by many for its portrayal of Ginevra's temperament. Ginevra is beautiful but austere; she has no hint of a smile and her gaze, though forward, seems indifferent to the viewer. A strip from the bottom of the painting was removed in the past, presumably due to damage, and Ginevra's arms and hands were lost. 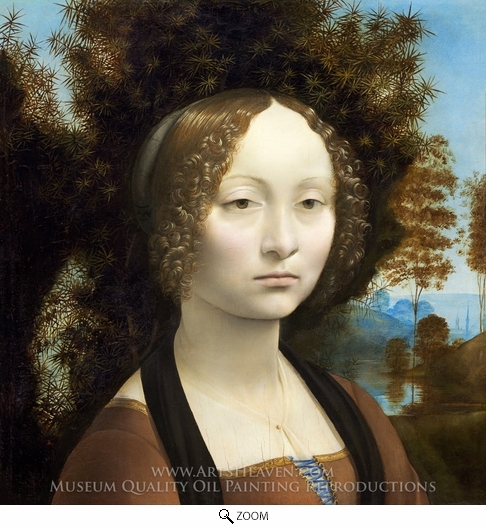 Decorate your home or office with our beautiful museum quality art reproduction of Leonardo Da Vinci Ginevra de Benci painting. Why settle for a print, poster, giclee or canvas transfer when you can grace your walls with a genuine oil on canvas painting reproductions for sale at up to 75% below gallery prices. You are commissioning an authentic hand-painted oil painting on quality artists canvas. Painted by professional artists brushstroke-by-brushstroke with attention to all details. Order your Masterpiece today and get Free Shipping to your door direct from our studio.